…no, not to save the world (at least, not yet). But, we’re definitely on a mission to make everyday life better in Southeast Asia, no matter what it takes. Need an idea of how we can save your everyday? Win a movie pass & rewards for GrabFood and Grab rides! We can’t save the world, but we can save you a seat in the cinema, save you from going hungry and save you time from looking for parking. Your task? 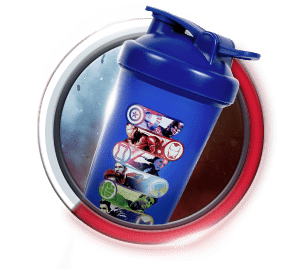 Earn stamps from 22nd to 28th April 2019. Make a GrabFood order, GrabExpress order or GrabPay transaction of min. RM10 (exclude rides) and earn a stamp. Easy. Once you have collected 3 stamps, you’ll find your movie pass* and GrabFood reward in your GrabRewards catalogue. And when you have collected all 6 stamps, a Grab ride reward that is valid two times will be in your catalogue too. 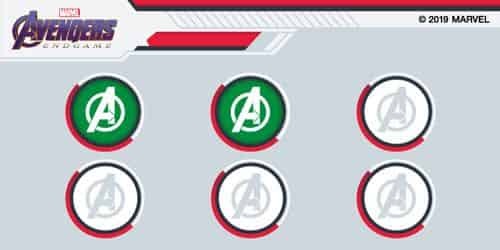 Collect all 6 stamps on your limited edition Marvel Studios’ Avengers: Endgame stamp card by 28th April 2019. Look out for an inbox message in your Grab app for your final task. The winner will be announced on social media on 10th May 2019. Available in your GrabRewards catalogue from 15th to 24th April 2019, while stocks last. Limited Edition Baseball Cap 100% cotton. Not recommended for disguises. 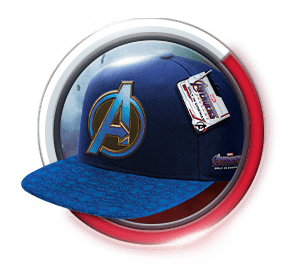 Collect the limited edition Marvel Studios’ Avengers: Endgame merchandise, while stocks last. Make a min. RM25 order from Salad Atelier between 26th April and 3rd May 2019. 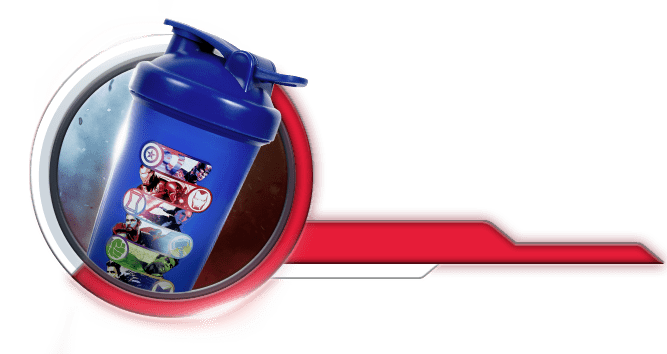 Power Protein Shaker Bottle For your epic workouts. Limited Edition Metallic Phone Ring When you need both hands to be free. This promotion runs from 22 April - 28 April 2019. Each user may only collect up to 6 stamps during the Promotion period. 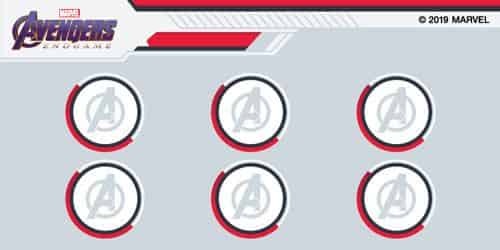 Users need to accumulate a minimum of 3 stamps to unlock one (1) movie ticket to watch Marvel Studios’ Avengers: Endgame in TGV cinemas, and one (1) GrabFood reward. 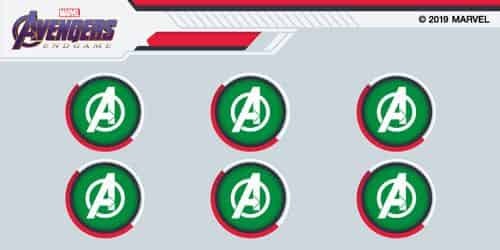 Users need to accumulate 6 stamps to unlock a RM5 x 2 rides reward, and to be in the running to win an all-expenses-paid trip to New York Comic Con. Stamps will be awarded after the completion of each qualifying GrabPay Credits transaction: paying in store, bill payments, online shopping, prepaid top up purchase and express or food orders. Ride transactions do not qualify for a stamp. Each transaction must have a minimum spend of RM10 to qualify for one (1) stamp. Users can earn one (1) movie ticket reward with a minimum of three (3) Grab transactions during the promotion period. This reward is limited to the first 4,000 users with a minimum of three (3) Grab transactions during the promotion period. 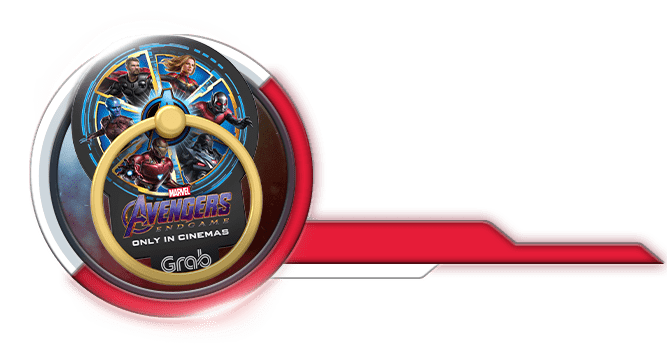 This reward must be redeemed at TGV Cinemas’ box office counters only. Online redemption is not available. Movie tickets are valid for a 2D movie for a standard seat. Not valid for Beanie, IMAX, Luxe, Indulge and any other specialty hall. Validity of movie tickets is subject to available cinema screening times and seats availability. Movie tickets cannot be redeemed or exchanged if the movie has finished airing in cinemas. Users can earn one (1) GrabFood reward with a minimum of three (3) Grab transactions during the Promotion period. This reward entitles each user to a unique GrabFood promo code which gives 50% off one (1) order of up to RM60, with minimum spend of RM25. This reward is valid for cities that GrabFood operates in. Each unique GrabFood code can only be used on one account and cannot be shared with other users. This reward is valid for one (1) redemption only. Users can earn one (1) RM5 off x 2 rides reward with a minimum of six (6) stamps during the Promotion period. This Contest runs from 29 April – 3 May 2019 (the “Contest Period”). 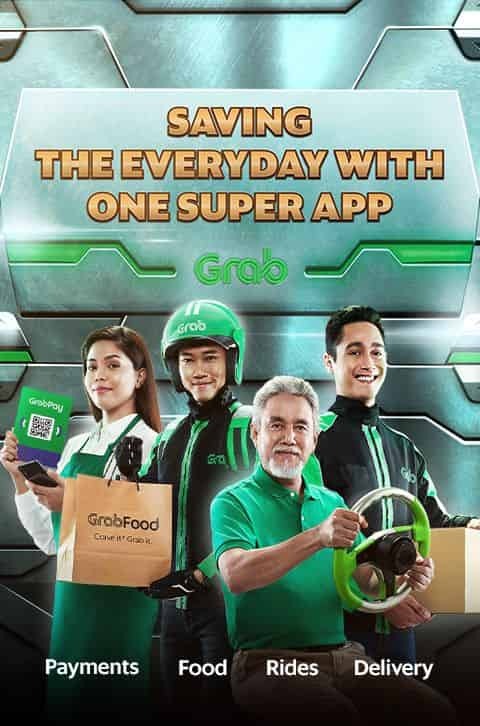 Each user will need to transact with Grab to earn a minimum of 6 stamps on Grab’s in-app stamp card from 22 - 28 April 2019 in order to be eligible for participation in the Contest. To participate in the Contest, eligible users are required to answer a question correctly via a Google Form (“Entry”), which will be sent to them via email. By submitting an Entry, participants will be considered by Grab for selection to win the prize using a random generator. The winning participant (“Winner”) shall be determined at the sole and absolute discretion of Grab. Grab reserves the right to reject any Entry or disqualify any participant without assigning any reason whatsoever. All decisions by Grab shall be final and not subject to any appeal. Only Entries sent to us during the Contest Period will be eligible for consideration by Grab. The Winner will be notified of his/her win via social media and via e-mail. The Winner will receive confirmation on the prize details via e-mail or by phone (if a contact number has been provided) by DJP Marketing & Promotions Ltd and verification checks may be conducted in order to claim the prize. The prize winner consents to the use by Grab and its affiliated companies for an unlimited time, of the winner’s image, photograph, name and Entry (if applicable) for publicity purposes (in any medium), and in advertising, marketing on promotional material without additional compensation or prior notice and, in entering the social contest and submitting an Entry, all participants consent to the same. 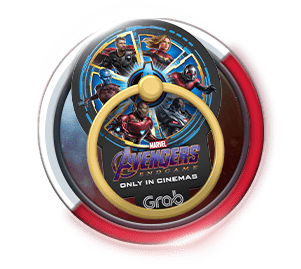 The prize is non-transferable, non-cumulative, cannot be exchanged for cash or other products and must be redeemed within a specific time frame which shall be advised by Grab. If the prize is not redeemed during the specific time frame, the winner’s prize will be forfeited and Grab shall be entitled to select another winner in accordance with the process described above without any liability to the winner. Grab reserves the right at any time and from time to time to modify or discontinue, this contest or its terms of conditions with or without prior notice to you. Grab accepts no responsibility for any damage, loss, liabilities, injury or disappointment incurred or suffered by you as a result of entering the social contest or accepting the prize. The selection of the winner is final and no correspondence will be entertained. At least one winner traveling must be over the age of 18 years. Winners must be in possession of a valid passport and must have a minimum of 180 days validity for the duration of the prize holiday. All entry visas, Electronic System for Travel Authorization (ESTA) forms, and/or travel documents are the sole responsibility of the winner including visa costs if applicable. DJP Marketing & Promotions Ltd. does not arrange entry visas. 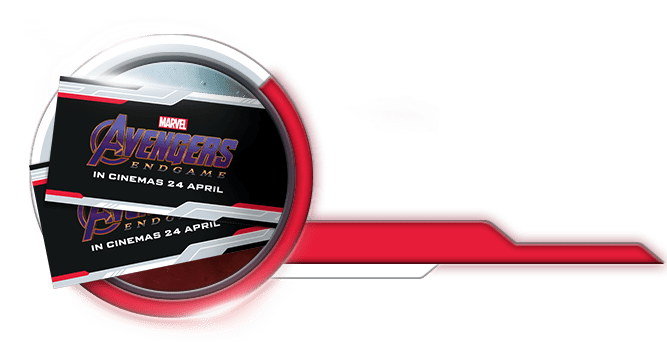 Winners can also choose to forfeit the Comic Con passes for 3 to 6 October 2019 for more flexible traveling dates, subject to the above conditions. Unless otherwise stated in the package, all other costs including meals and spending money are the responsibility of the Winner. DJP Marketing & Promotions has offered this prize in good faith and the specifics of the grand prize holiday are as stated in original proposal provided to the initiator of promotion. Nothing in this travel package authorizes any person to use the Walt Disney Company's and its affiliated companies (collectively, "Disney") name, brand, intellectual property, characters or reputation in conjunction with this Travel Package or any prize promotions whatsoever and that a valid promotional agreement with Disney is a precondition for use of this prize package in association with Disney's name or Disney-owned intellectual property. The Walt Disney Company (Southeast Asia) Pte. Limited and each of their respective parent, affiliates, and subsidiaries are not responsible for the promotion, administration or execution of the travel package, competition, contest or sweepstakes. 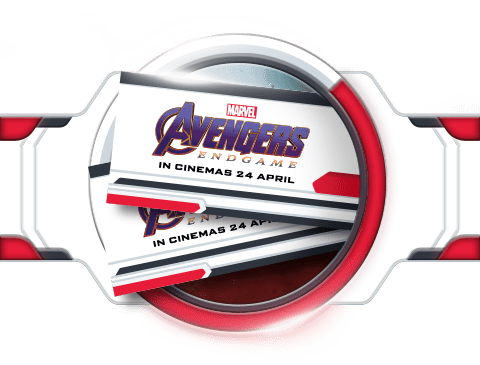 This voucher entitles the user to 2 VIP Passes to watch Marvel Studios' Avengers: Endgame at IMAX, TGV Cinemas Sunway Pyramid on 24 April 2019 at 7.30pm and a popcorn and drink ("Offer"). Offer is available for redemption at 6,000 points from 11:00am on 15 April to 9:00pm on 24 April 2019, while stocks last. Offer is limited to ONE (1) redemption per customer. Offer is valid from 11:00am on 15 April to 9:00pm on 24 April 2019. 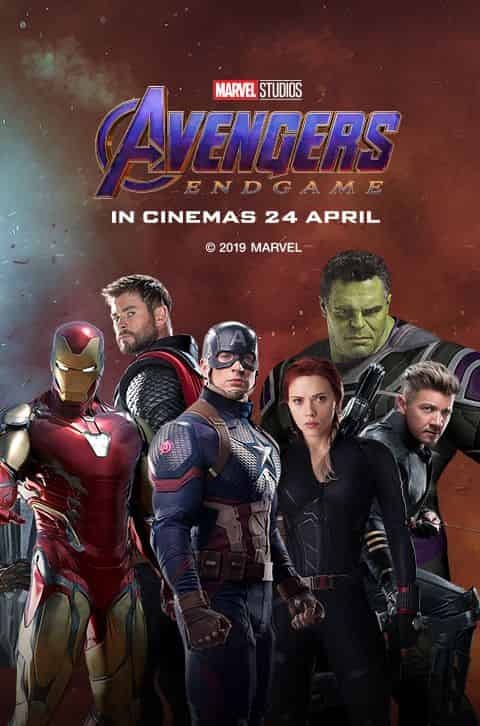 Tickets can only be collected on 24 April 2019 from 5:30pm to 7:00pm at TGV Cinemas Sunway Pyramid. Seatings are allocated on a first-come, first-served basis. It is advised to arrive at the venue early to ensure better seatings. When collecting, customers must show this reward voucher from their Grab app at Grab's registration area, and a person-in-charge will key in a 4-digit code provided by Grab. Tickets will be randomly distributed in pairs and are not exchangeable. Popcorn and drinks will be placed on seats in the theatre hall. This voucher is not exchangeable or refundable in cash or such replacement in part or full if uncollected. Grab reserves the right to alter, suspend or cancel the promotion. Grab reserves the right to cancel or modify orders, or revoke the use of voucher codes, where the vouchers are used in the following circumstances: suspicious or fraudulent voucher use. voucher abuse, including voucher redeemed using multiple accounts or multiple checkouts associated with the same customer or a group of customers; and/or voucher used in bad faith (including resold voucher, or use of vouchers on orders made and intended for resale). 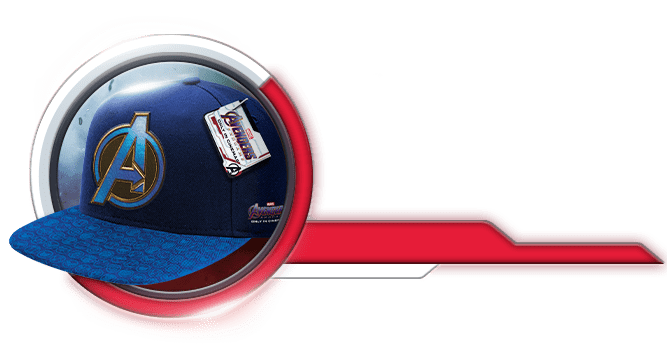 This voucher entitles the user to 1 Limited Edition Baseball Cap ("Offer"). 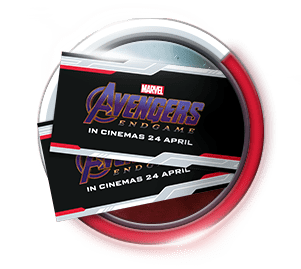 Offer is available for redemption at 2,000 points from 11:00am on 15 April to 9:00pm on 24 April 2019, while stocks last. 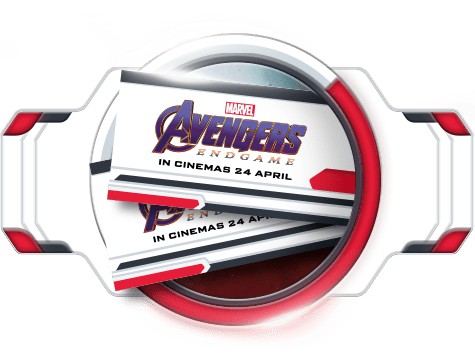 Offer can only be collected on 24 April 2019 from 5:30pm to 9:00pm at TGV Cinemas Sunway Pyramid. GrabFood users are entitled to one (1) Power Protein Shaker Bottle or one (1) Limited Edition Metallic Phone Ring for every order from Salad Atelier above or equal to RM25 (“Offer”). Offer is valid for orders from participating Salad Atelier outlets in Klang Valley: 1 Mont Kiara, Avenue K, Sunway Velocity, The Intermark, Starling Mall, Damansara Heights, KLEC. Merchandise are to be given out on a first-come, first-served basis. Merchandise are not exchangeable or refundable in cash or such replacement in part or full if uncollected.